There’s an alarming rate of car accidents in California and these car accidents result in severe injuries, trauma, and even death. 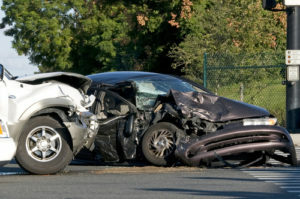 If you are in the Newport Beach area of California and have experienced a traumatic car accident, don’t take your chances, hire a top-rated auto accident attorney in Newport Beach to help you get the compensation due you. Rawa Law Group has the best legal minds for this case. Our legal prowess sees us stand as a law firm to be reckoned with. We have successfully assisted several Newport Beach claimants to win compensations and settlements running into hundreds of millions. Our vast collective experience of over 55 years also stands us out a leading personal injury law firm in all of California. Rawa Law Group attorneys are aggressive and tirelessly fight for the rights of the injured. We understand the deep pain these accident victims go through and we try to help reduce them by offering them the legal services to get back on their feet – through winning decent compensation. We offer our clients ethical legal counsel that are personalized and given individual attention. We work hard to maximize your accident claim settlement and we do this at absolutely no consultation fee, which is entirely free consultation services. Also, our payment process is simple. You only get to pay us for legal services rendered when we have successfully helped you win your settlement and not a cent before. Can’t come down to our office? Not a problem, our auto accident attorney would meet you at home or in the hospital to pick up vital information that will help your case. Reach out to us today.